I’m Ed Smith, a Marysville car accident and personal injury lawyer. I’m also the proud founder of this website, AutoAccident.com, Northern CA’s top site for information about personal injury and car accident topics. I represent people living in Marysville and nearby areas who’ve been seriously injured during an accident. I’m known as the “personal” personal injury lawyer because I always make sure to work with my clients with empathy and sensitivity. It is very important to me to be compassionate toward my clients who have suffered serious physical injuries and the emotional trauma those injuries can cause. I’m especially aware of how serious injuries and the difficult process of recovery can emotionally affect people partly because I’ve lived through a number of severe injuries myself. I am also very aware of just how devastating the loss of a loved one can be. Feelings of grief after a fatal accident are often overwhelming and can even make people feel like it is hard to breathe. These feelings are often even more difficult to deal with when you know that the fatal accident could have been avoided if it weren’t for the negligence of another party. It is no mistake that these cases are referred to as “wrongful” death cases. My job is to help you and your family recover both personally and financially after enduring such a tragic event. Residents of Marysville are very fortunate to be able to live in such an amazing place. Residents can easily enjoy any of the city’s 15 community and neighborhood parks including the beautiful Ellis Lake Park designed by the famed John McLaren. Those looking for something to do in the area will find no shortage of lively events hosted by a friendly community and nature-lovers are only minutes away from beautiful walks along the Feather River and nearby wilderness areas. On top of all that, Marysville residents can head over to Sacramento in under an hour in order to see world-class performers, historic sites, museums, and more. Every time I’ve had the pleasure of visiting Marysville from my hometown of Sacramento, I’m wowed by the friendliness of those who live there and the many beautiful sites offered by the natural landscape and architecture. Why Does it Make Sense to Hire a Sacramento-based Lawyer? You are probably wondering why you would choose to drive all the way to Sacramento just to meet with an attorney when you could hire a lawyer who lives in your own city. However, there are a few important reasons that it makes sense to hire a Sacramento-based lawyer to represent you. One reason is that recent trouble in the economy means that many reliable small-town law firms have had to relocate to more highly-populated areas in order to reach a larger client base. This means that it is difficult to find quality lawyers in smaller cities. Another important reason is that, if you have a serious injury case, it is important to have a lawyer who has experience handling severe cases. My firm specializes in major injury cases and we are selective about the clients we work with. Still, sometimes an injury can make it hard to travel even short distances. However, if you have an issue with travel, I encourage you to get in touch with me anyway. We can talk about the details of your case over the phone and make plans to meet in a location that you can easily reach. I take serious personal injury cases on a contingency basis. This means you pay no fees up front. I get paid only if I have a successful conclusion to your case. Taking cases on contingency means that I can provide top-quality legal help to people who have suffered a delibating injury but don’t have the money to afford an attorney to represent them. Chances are, you have seen many internet ads, t.v. commercials, billboards, and other advertisements for personal injury attorneys. These ads are everywhere and usually make big promises. 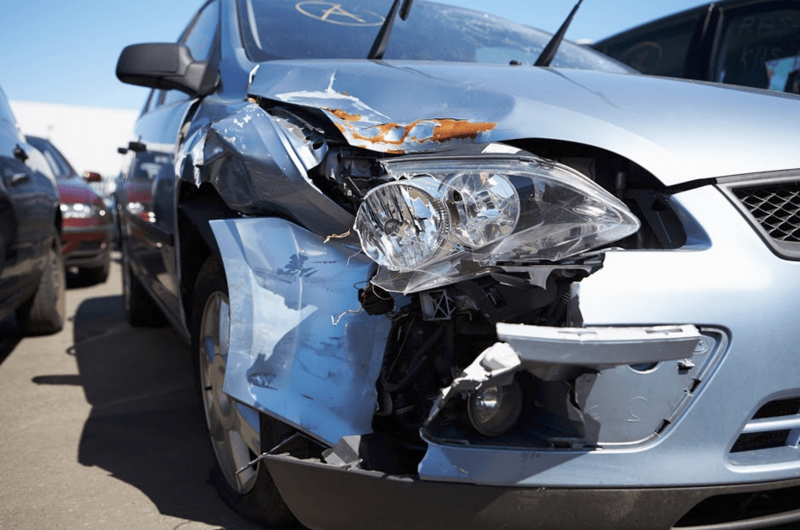 However, the reality is that only a small fraction of these injury lawyers are truly prepared to handle your case properly and many don’t have the financial resources to do everything they can in order to obtain the compensation you deserve. Many of the attorneys who advertise their high success rate often negotiate with insurance companies and agree on settlements that are lower than what their client deserves. While some may call this a victory, I always ensure that the clients I represent are fully compensated for their damages. Is the lawyer experienced? - You should make sure your attorney has lots of experience handling cases like yours. It is also important to make sure that your lawyer has successfully handled numerous serious accident injury cases in the past. Furthermore, you should make sure that the lawyer has experience in the courtroom and is comfortable taking your case to trial if it is necessary. Often, all you have to do is ask an attorney if they feel comfortable going to court with your case to deal with an insurer giving low-ball offers. The response you get will often give you a good idea of whether or not the lawyer is truly ready to argue your case in front of a court. Does the lawyer have a good reputation? - It is important to find out if your lawyer has a good reputation among their clients and community. In the age of information, this is easier than ever. You can check out a lawyers’ profile on websites like Avvo, Google, Facebook, Yelp, and others in order to see what other people have said about their work. Because the reviews on this site are published by a third party, you can get an honest idea of your attorney’s personal and professional reputation. Is the accident lawyer successful? - You should always check a lawyer’s work history. Ask about the cases they have won and settled and how much money their clients were awarded. Your attorney should be proud of the work they’ve done and happy to share their successes with you. To get an idea of what a Settlement and Verdict history should look like, you can view mine here. If you want to know a bit more about me, check out the biography page listed on my website. If you want information about our friendly and competent staff, you can check out this link. I think of my firm as a family and the clients we represent are considered members of our family, too. I’m Ed Smith, a Marysville personal injury lawyer. Car accidents and other personal injury accidents can be very difficult to deal with. If you or someone you know was seriously hurt, call me at (530) 392-9400 or (800) 404-5400 and get free, friendly case advice. Read what my clients have said about me on Yelp, Google, and Avvo (the lawyer-rating site). I’m a Million Dollar Advocates lawyer. Lawyers of the forum have resolved a case valued at over one million dollars. I also have been inducted into the National Association of Distinguished Counsel. View my verdicts and settlements page. Marysville Car Accident FAQs:What Are the Most Dangerous Marysville Intersections? Can you recommend a Marysville Auto Shop? Do you know a reputable Marysville Chiropractor?